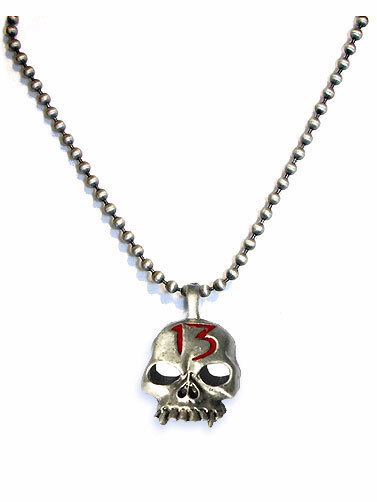 This Gothic styled necklace features a skull with the number 13 in red on the forehead. From the Darkside collection. 13 Skull charm measures 1"H on an 18" steel ball necklace.